This topic contains 4 replies, has 5 voices, and was last updated by warwell 4 weeks ago. After running a few games at the back end of 2017 using Target for Tonight I was enthused to take another look at tweaking the system to allow a series of games to be played in a linked campaign. 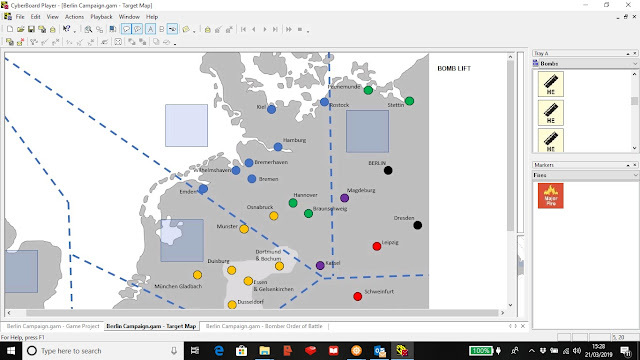 Wanting not to alter the basic mechanics too much in what is a very entertaining system, I have now put together a new set of add on rules, Main Force Target for Tonight, which allows for a bathtub campaign to include the four main types of aircraft used in its offensives in 1943. Mot interesting. I am intrigued to understand how the crew makes informed and meaningful decisions rather than just having events through dice rolls. I am intrigued to understand how the crew makes informed and meaningful decisions rather than just having events through dice rolls. 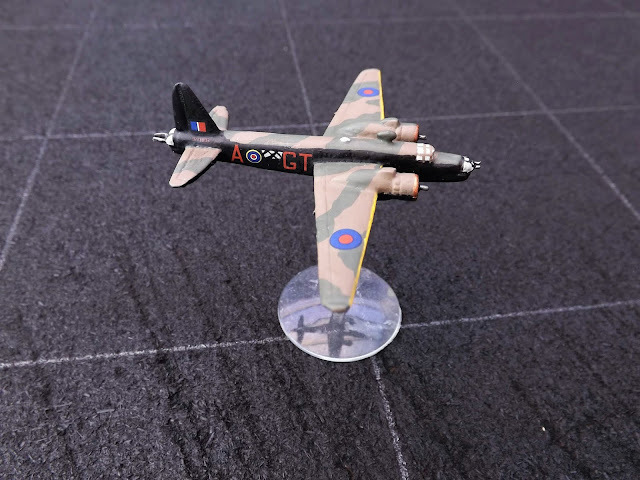 If it’s the same “Target for Tonight” (at least three games go by that name) as the one derived from “B17: Queen of the Skies”, the player has very few decisions to make. I can imagine that the RAF’s way of conducting bombing might leave the crew with a little more discretion as to route, height and speed, but in “B17:QOTS” the player is essentially doing what the player playing “dummy” in bridge does. Some people like ths sort of thing, but I go by Tony Hawkins’ measure of game quality, that it’s the density of non-trivial player decisions that maes a good game. To me, all bomber games need the players running the fighters and the bombers controlled by the game. I have long agonised about how I would do a nighfighter game. While I agree that there are few decisions to make, I still found it entertaining. I thought it did a great job evoking the theme. I certainly felt the tension as wave after wave of German fighters came at my plane.